I have been a fan of Jon Acuff for many years - his "Stuff Christians Like" blog was one of the first blogs (in fact it was THE first blog) I ever read regularly. He has since moved on and done lots of other amazing stuff - but in that blog he often came up with some excellent one-liners and the quote above was one of them. I've seen this quote used in regard to facebook - where we compare our lives with the lives of others and often find ourselves envying the updates we see there. Some people just seem to have it all together and meanwhile we are struggling with issues and life's ups and downs on a daily basis. We forget that they are just showing us the highlights of their lives, and also that they may have walked quite a difficult path to get to the place that they are now in. Their "beginning" was several years before ours and now they are in the their "middle" and reaping some of the rewards. What also came to mind was that I do this with blogging. I read other people's posts and think how amazing they are and how they seem to have all their ducks in a row. What I forget is that they have been doing this 'blogging stuff' for years - some have been doing it for many years - in fact for years before I even knew there was such a thing as "blogging"! They are cruising along in their "middle" and I am still at my "beginning" and learning all the new stuff and finding my feet. 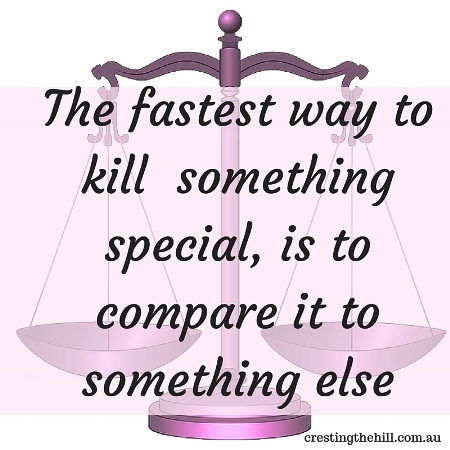 One of the most valuable lessons I have learned as I have progressed on this blogging journey is that it is self defeating to compare yourself with others. We all have our own unique voices and our own stories to tell. Some people have been telling theirs for years and have honed their skills, some have only just begun.....but we are all in this together and it's about sharing and not comparing. Oh, that's good! I think it goes the other way, too. Don't judge someone who's not quite where you are yet. Great reminder! I know the feeling Sally - I'm still fairly new at blogging and I get overwhelmed when I see bloggers with 20,000 page views a day or who are making thousands of dollars from their blogs. Meanwhile I'm just sitting in my little corner blogging merrily away! Wow Leanne, this is a very timely post for me. As it relates to the blog world, I was bemoaning my status relative to many others just yesterday. In a larger sense, I have a daughter who is so hard on herself. I often send her little bits of wisdom and this will be her bit of wisdom today. thanks Lynn - I had to learn this lesson about facebook and my fabulous friends whose lives always looked better than mine. Comparison is never the way to happiness! It's human nature to compare but one thing social media's done is brought those comparisons out into the open as we see more about peoples lives. It's a no-win game, though. that's so true Carol - we seem to have it in our faces all the time - everyone's golden moments - and we have to remember not to take it to heart. so true Julie - and something I remind myself of every time I start envying someone else's life! Very good post. I like the idea of sharing not comparing, and it fits in our life as well not only in blogging. Well you hit it right on the nail with this one. But we must always look inside to see what personal satisfaction we derive from blogging. that's so true Robyn - I like that we are doing our best and sharing the journey and not worrying about how fabulous someone else is or isn't. thanks so much - I love that I'm not alone in my battle with comparisons - we are all in this together - no matter where we are along the path! Well said Leanne! We can waste too much time, losing focus in the process comparing ourselves, our lives and our blogs to others. I think (at first) it's natural to feel slightly in awe of oldtime bloggers, but as long as the awe then turns into respect and we focus on how we want our blogs to be, we can't go wrong. We never truly know what truths are lurking behind those living what we consider to be the 'perfect life'. As people only let us see what they want us to see. that's so true Debbie - there's a lot more under the surface of people's lives and most of the time we wouldn't want to swap with them - I think we need to look for the blessings and accomplishments in our own life and then celebrate them with other people. I really needed this reminder today, Leanne. Thank you! It can be so hard as a new blogger to keep in mind that it took big bloggers YEARS to get where they are. That is so true Elizabeth - I've only been blogging for 12 months and need to remind myself all the time that I can't compete on that level and I actually don't really want to make the sacrifices it would take to get to that level! This is a lovely post! 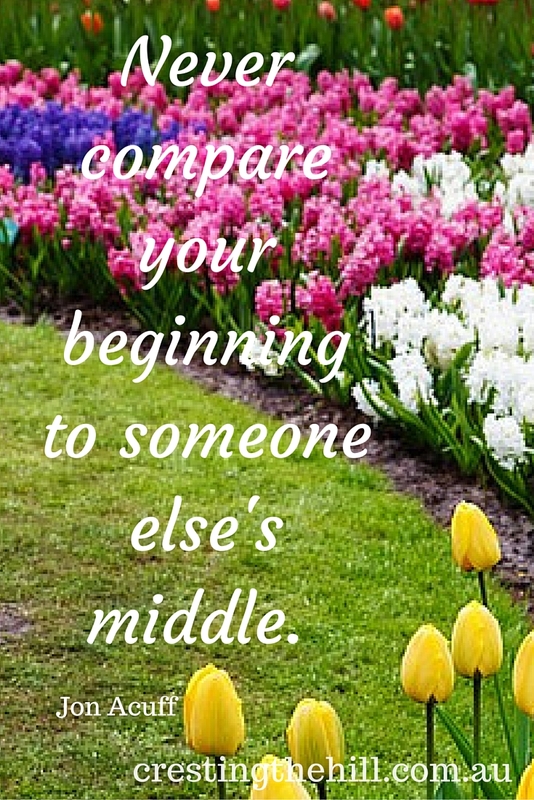 And it's a timely reminder to not to compare but to enjoy the journey! 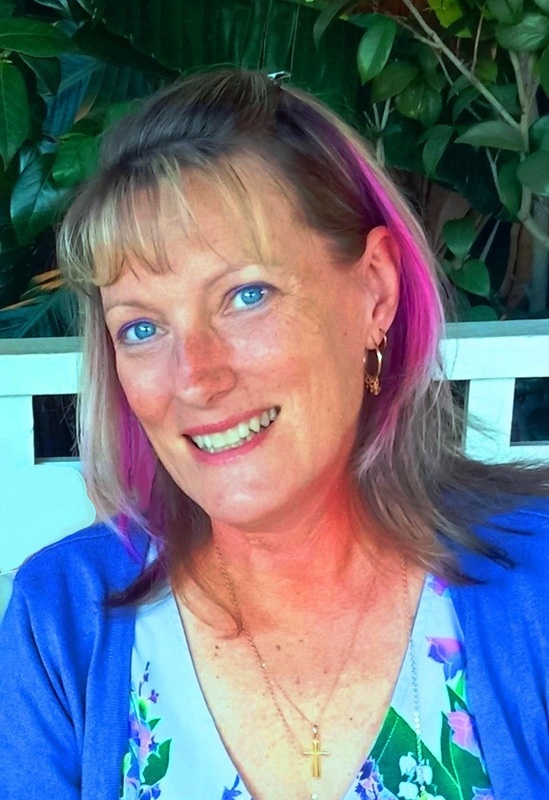 I always look forward to reading your posts, Leanne! Thanks for sharing a bit of your life with us. It's part of our personalities I think Nikki - we all want to be our best and we look at others and think "I could/should be doing that" without remembering that their journey is in a different place. I just keep slapping myself when I do it to try to remember not to! This is right on time, Leanne. Thank you so much! It's hard to remember that sometimes. I remind myself all the time Regina - we're all so different and it's nice to share each other's journey, rather than envying it!